I’ve slowly been working on pulling together elements for my 2 year old’s “big girl room” that she’ll be moving into before the new baby arrives! 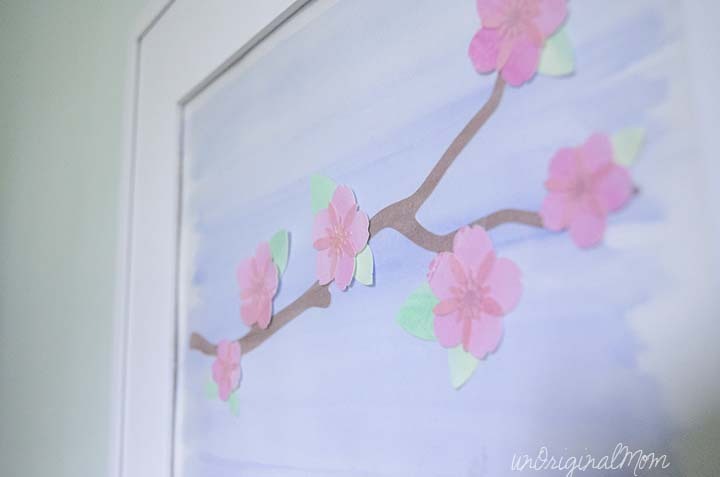 In fact, a few months ago I used my Silhouette and painted watercolor paper to create some Cherry Blossom Watercolor Wall Art for her new room, too! 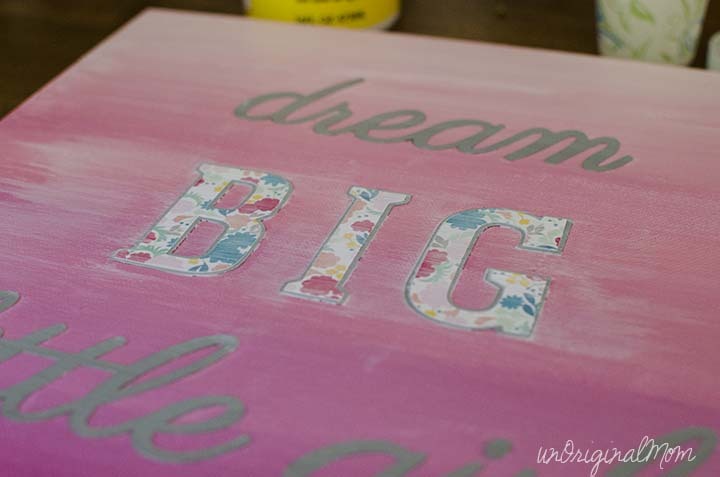 This ombre painted canvas art was also very simple – just paint a canvas and add some chipboard letters! The painting technique is easy and requires NO artistic ability (trust me, if I can do it, anyone can!) – I just picked four gradient shades of pink and went to work creating a bit of an ombre effect by starting at the top with the lightest shade and mixing colors until I got to the darkest shade at the bottom. 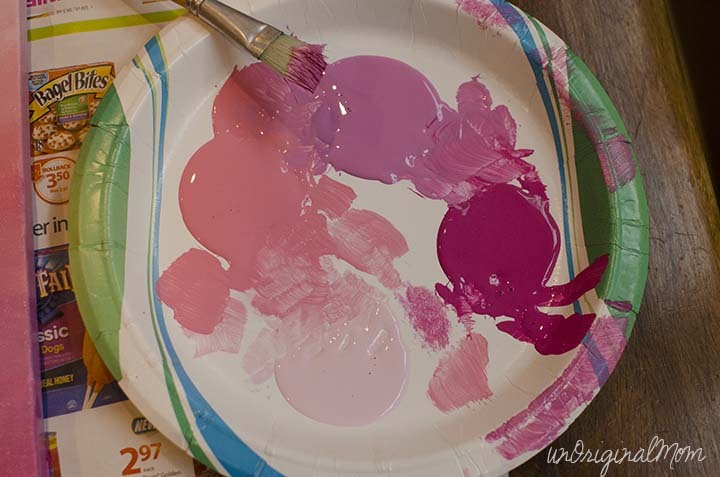 The trick is to use a paper plate to put the four blobs of different colors and mix them together as you go – start with the lightest color by itself, then mix in a bit of the next darkest color, and a bit more, until you are painting with the second color by itself…and so on! The end result was really neat! 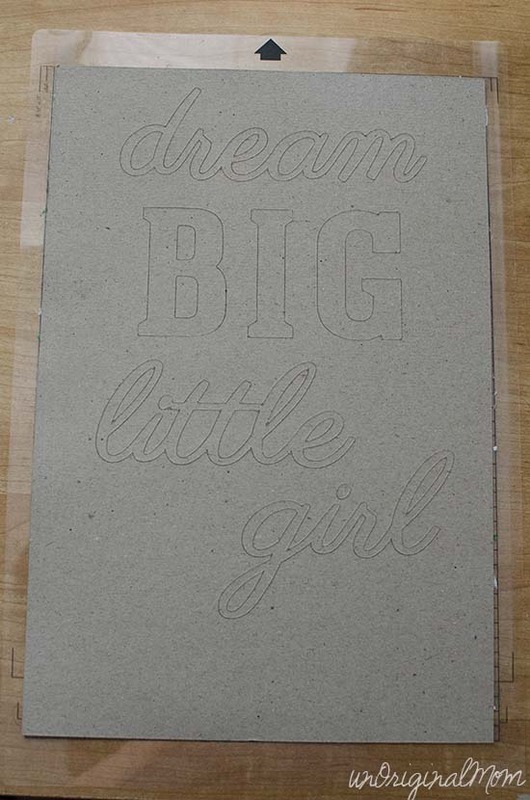 For the text, I created the lettering in Silhouette Studio and cut it out of chipboard. If you’ve never worked with chipboard before, it’s essentially the same as cereal-box-cardboard – great for when you want something with a little more substance than card stock! It was just what I needed to make the lettering “pop” a bit. 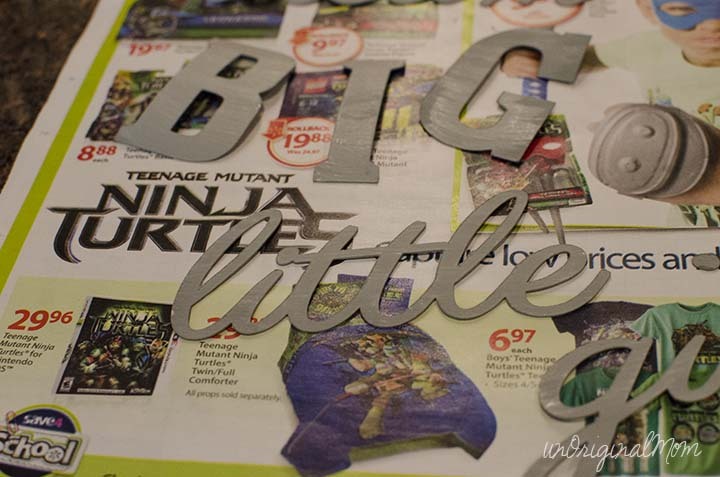 If you don’t have a Silhouette, you could buy stick-on scrapbook letters from the craft store! 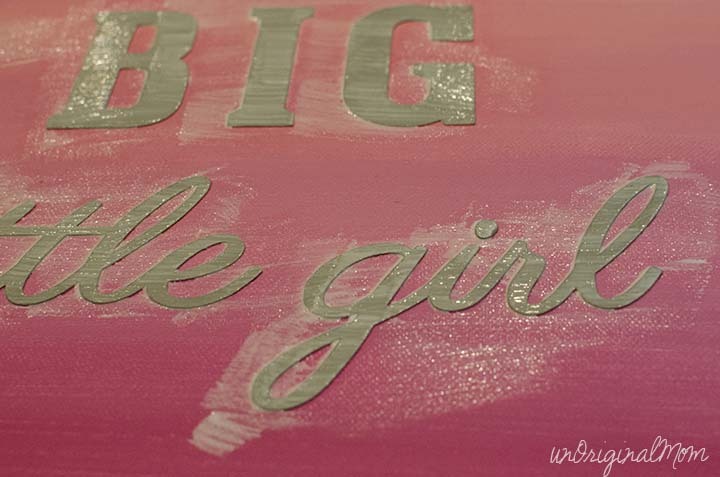 Since the colors for Addy’s big girl room are mint walls with gray and pink accents, I decided to paint the chipboard letters gray. Nice, but a little blah. “BIG” needed to pop out a little more, don’t you think? 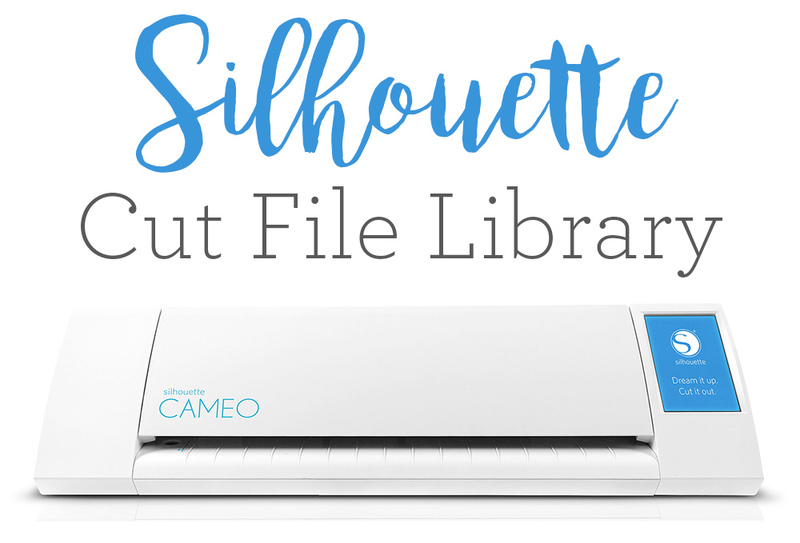 So I used the internal offset tool in Silhouette Studio to create letters a bit smaller, then cut them out of some pretty floral scrapbook paper. Those got Mod-Podged onto the gray letters, and were just the extra little something that it needed! I’m not the most artistic person in the world, but I’m glad to be able to add some simple, personal touches to the art in her room! 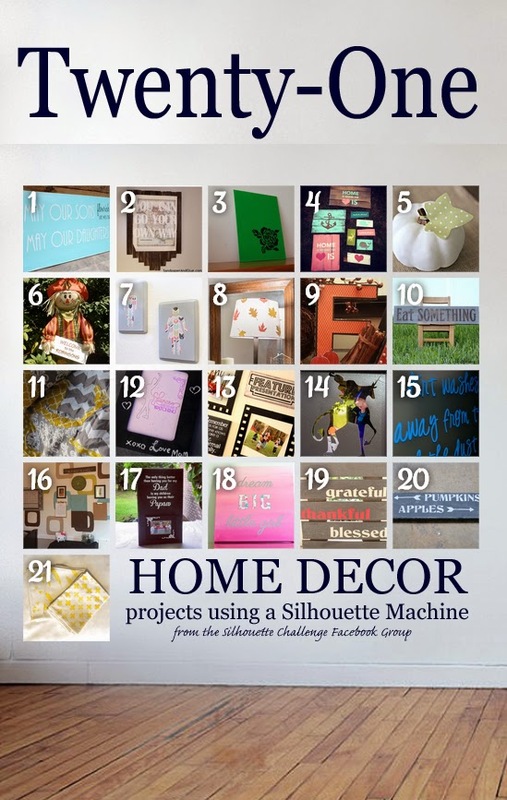 Speaking of adding personal touches to your home…you absolutely MUST check out these other great project ideas for creating home decor items using your Silhouette. 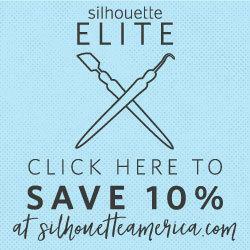 Lots of wonderful inspiration awaits you at this month’s Silhouette Challenge! 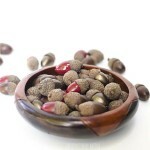 The collage is clickable, or you can scroll down to the text links below the image. And if you’re thinking ahead to Christmas gifts (not saying that you should be, but it’s never to early to start pinning! 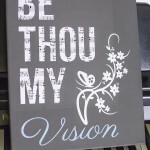 ), home decor items always make unique, personal, and thoughtful gifts! 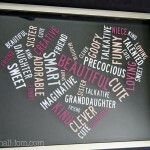 What’s your favorite way to incorporate Silhouette projects into your home decor? 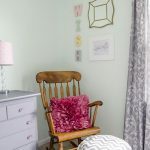 Big Girl Room Sneak Peek – decorating with Pillows and Poufs! Oh my goodness that OMBRE!! 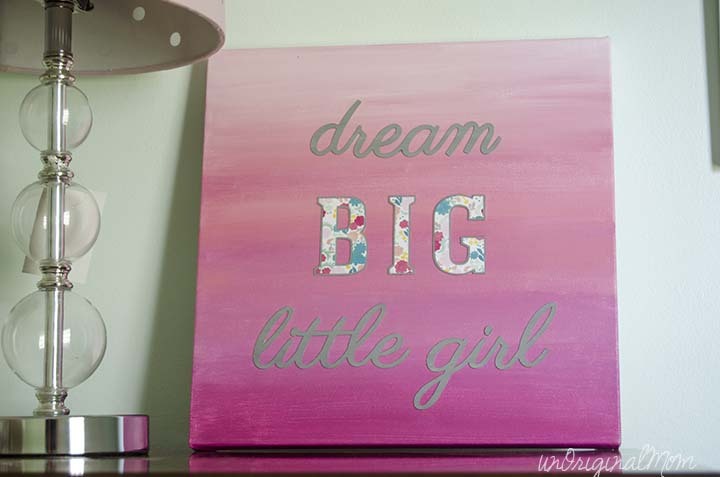 How absolutely lovely for your girls room! 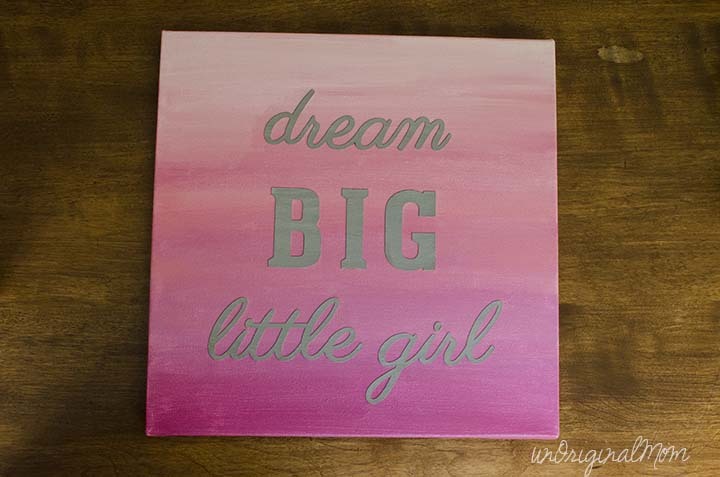 I love how this turned out, and I have some little girls who need this in their rooms! You keep saying your not an artist but your painting projects are coming out mighty good!! And I love the mixture of materials that you used everything works great together! 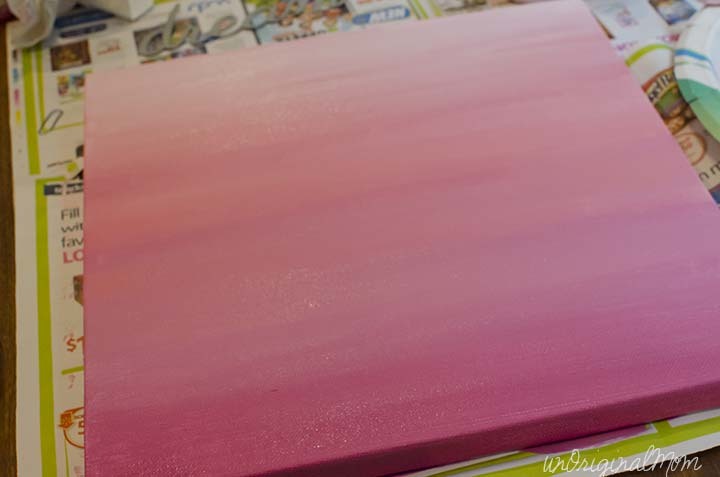 This ombre art project is a perfect complement to your Cherry Blossom Watercolor. 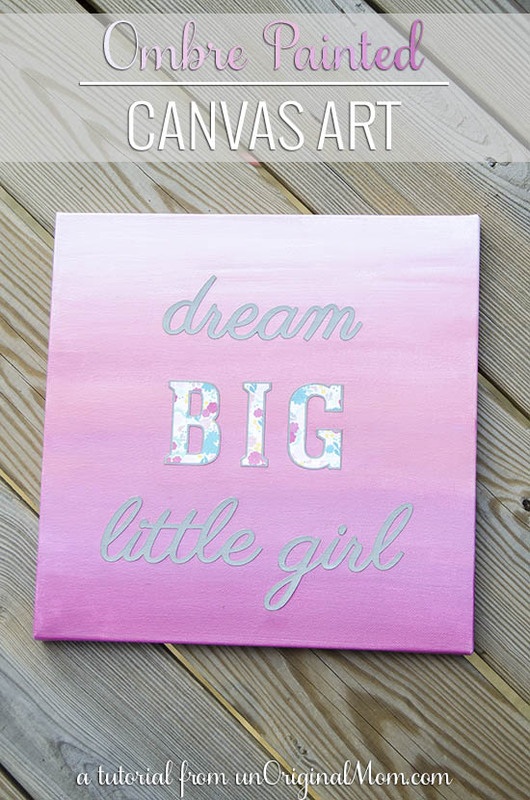 A great idea for an ever changing little girl. I love this, Meredith! I want to try using the Silhouette Chipboard. It looks like I’ll love it! Love how this matches the cherry blossom you made before. 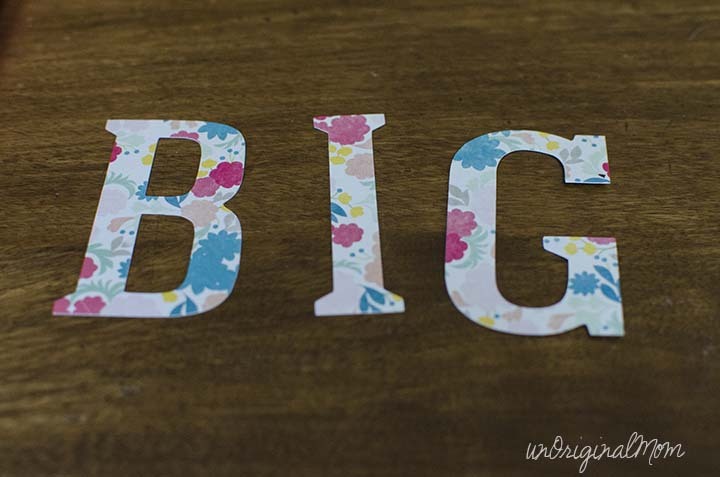 Great job on the ombre and the layering of the word Big.